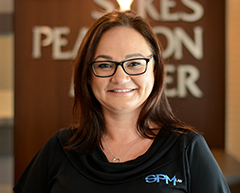 After working in several local legal firms, Nicole finally found the right fit when she joined the SPM Law team in 2003. Originally starting as a Conveyancing assistant, Nicole went on to join the commercial department assisting Michael Sobey. Two children and thirteen years years later, Nicole is now executive assistant to legal practitioner director, Michael Sobey and basically keeps the entire SPM Law team organised and in check! On weekends, you can find Nicole acting as chief ambulance driver for her dirt biking dare devils.